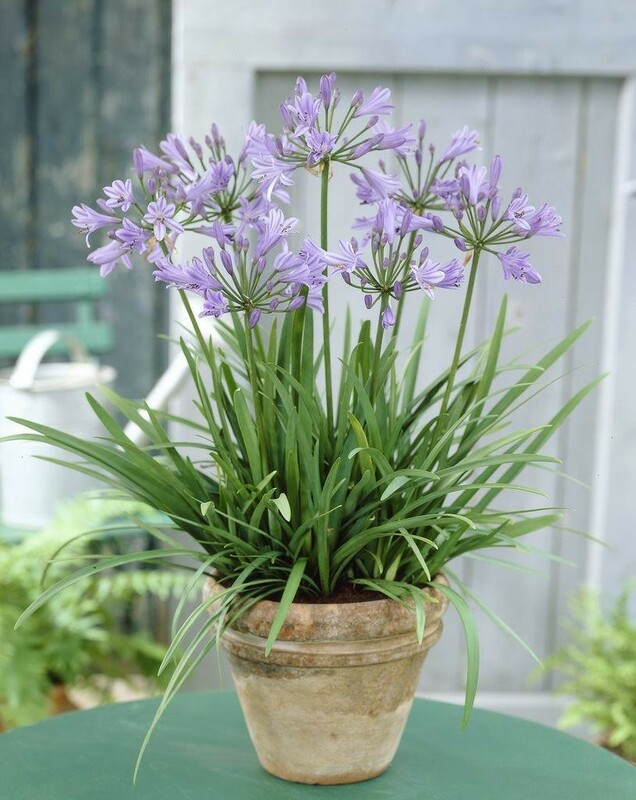 Agapanthus is native to Southern Africa and is grown for the dark, glossy, strap-shaped leaves that arch gracefully. Flowers are borne on long erect stems. Agapanthus make good background plants or edging along a fence, driveway, or wall. These plants can thrive on conditions of neglect and naturalise readily. They also make excellent tub and container specimens and can be used in cut flower arrangements. Agapanthus africanus 'Peter Pan' is a dwarf variety. This Lily of the Nile has light blue flowers with 1 to 1. 5 foot flower stalk. Plant height is 8 to 12 inches tall. Foliage can remain evergreen in warmer areas. Supplied in approx 3 litre containers.